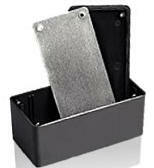 It is important to make your Cell safe to use. If, for any reason, you need to turn the cell "on or off" while driving, you should have a conveniently located switch that can be reached from the drivers seat. I match my circuit breaker amp rating with my PWM for safety and control of the cell. I use a relay that is capable of handling the PWM output rating. The relay carries the amperage load. It can have a higher amp rating than the PWM. 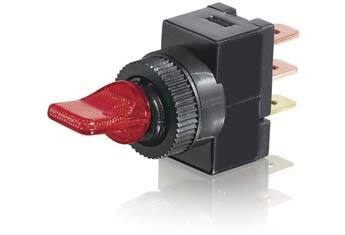 The circuit breaker protects the PWM. It can have a lower amp rating than the PWM, but not a higher amp rating. Tired of loose accessory wire connections? These new terminals are great! There are many designs to choose from. Note: If you plan to use a Fuse, the fuse should be rated at 1.5 times the expected maximum current flow. If the fuse is rated right at the maximum current flow, then it will usually blow after a period of time as it becomes warm. 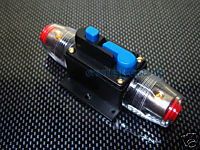 Fuses come in specific sizes, so you may need to select the next nearest size. For example, if your radio is rated for 9 Amps maximum, then the fuse should be 9 x 1.5 = 13.5 A. Since there are no 13.5A fuses, use a 15A fuse. Rubber boots for the connectors. Wire terminals are not needed. Your Relay is used to connect your battery voltage to the cell. It needs to be capable of handling all of the amperage your cell uses, and then some. Wire it to your ignition switch. PWM - Pulse Width Modulators. 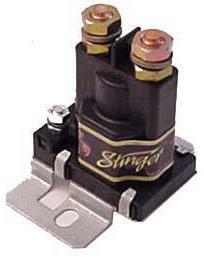 Use to Control the Amperage. Several models are available. 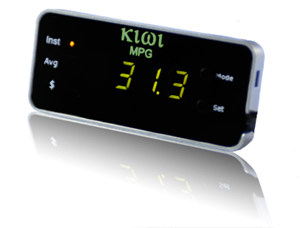 Ultra-Gauge - Both an OBD2 Scan Gauge and Information Center that displays selectable engine gauges. RPM, Temperature, Intake Air Temp, Distance, Intake Pressure, Mass Air Flow, etc. Scangauge for Dieses that have J1939 and J1708 Emissions Ctrl. Better than the dc ammeter of a digital multi-meter (DMM) because of much higher current, lower insertion resistance and eight total measurements. 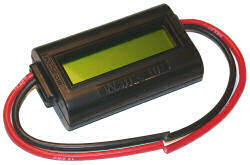 Digital Volt Gauge 3 1/2 inches wide - LED digital Volt meter. 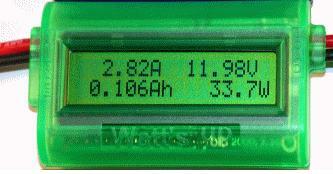 This meter can be powered by your 12v battery and it can measure your battery voltage. Set Dipswitch #4 and #5 to ON. Amp meters require a SHUNT. 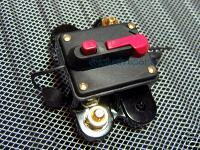 If the shunt is not built in, you will need one that matches your meters mv rating. Amp Gauges usually have a built-in shunt. Shunt: The shunt passes the DC current to the cell. It also allows you to measure the current. 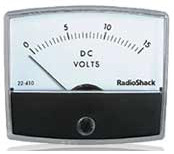 If you have a 100 amp meter, you need at least a 100 amp shunt (or higher); plan for the capabilities of your meter. Lets you turn your 12 volts DC into an isolated 5 volts DC (makes it look like a different power source). 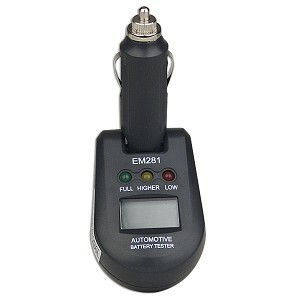 A Digital amp gauge needs an isolated battery source. 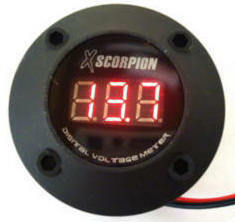 If you don't want to use the Isolator, use a 9 volt battery to power your digital gauge. You will have to change batteries when they run down. 5Volt DC Power Supply. Turns 12v into 5volts. 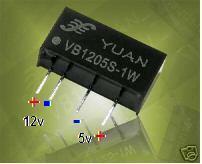 This is 5V power regulator designed by using a famous voltage regulator IC 7805. Output is very stable and smooth. Fluctuation, noise, spike all eliminated. 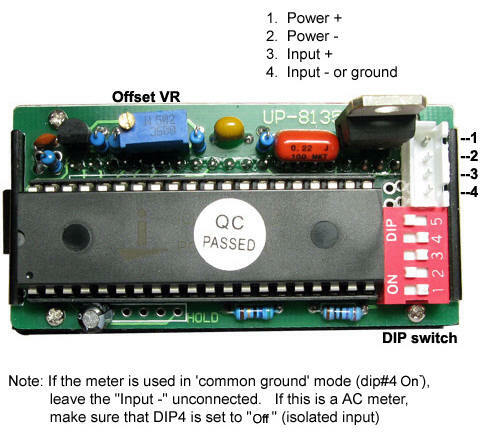 The input can take a range from 7v to 36v dc. 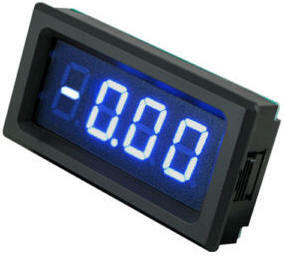 It's an ideal candidate for being used for a Digital Panel Meter or other device driven by 5V DC at low current. Every HHO experimenter needs a clamp-on ammeter. It is your responsibility to know how many amps of electrical current your cell is drawing. It is not a guessing game. These meters vary in price, but start around $25. Use it to test your electrolyte water mix. Too much electrolyte will make for a bad day. 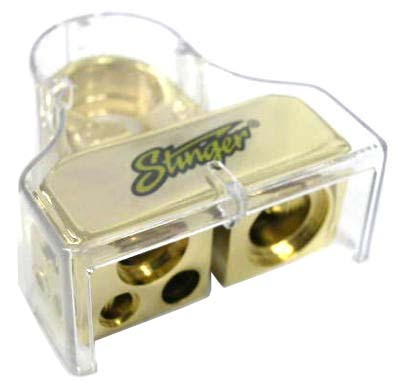 You can get an amp gauge or meter, locally, more than likely.